That's so Interesting! : Women, I admire. They made their own mark in this world. When I want to be inspired ... I just read about their lives. Ophrah Winfrey is an American media proprietor, talk show host, actress, producer and philanthropist. Winfrey is best known for her self-titled, multi-award-winning talk show, which has become the highest-rated program of its kind in history and was nationally syndicated from 1986 to 2011.She has been ranked the richest African American of the 20th century, the greatest black philanthropist in American history, and was for a time the world's only black billionaire. She is also, according to some assessments, the most influential woman in the woman in the world. Queen Rania is the current Queen consort of Jordan as the wife of King Abdullah II of Jordan. Queen Rania speaks on behalf of a variety of causes, both at home and abroad. In Jordan, her work concentrates on the calibre and quality of education for Jordanian children, while abroad she advocates for global education and for world leaders to fulfill their commitments towards the second Millennium Development Goal, Universal Primary Education. I admire her soooo much, I named my daughter after her, even before my daughter was born. American business magnate, author, magazine publisher, and television personality. As founder of Martha Stewart Living Omnimedia, she has gained success through a variety of business ventures, encompassing publishing, broadcasting, and merchandising. Her syndicated talk show, Martha, is broadcast throughout the world, she has written numerous bestselling books, and she is the publisher of Martha Stewart Living magazine. In 2004, she was convicted of lying to investigators about a stock sale and served five months in a West Virginia federal prison. Although the media widely speculated the situation would effectively be the end of her media empire,Stewart began a comeback campaign in 2005,with her company returning to profitability the following year. Laura Vitale is a self-taught chef who teaches others how to make home-cooked meals with little effort. She appears on her online show Laura in the Kitchen and has been featured on the NBC Philadelphia morning show The 10! Show. Her show began in January 2010, and is designed to teach people with little kitchen experience how to cook. Viewers can make suggestions for an episode (usually one recipe per episode) and if their suggestion is selected, a show will feature their picture, name and hometown. Vitale has no formal education in the culinary arts, and believes that makes it easier for her students to follow her recipes. Anyone can make a request via her website, she will make the requested recipes based on popularity of the requested dish. Joanne "Jo" Rowling, better known as J. K. Rowling, is a British novelist, best known as the author of the Harry Potter fantasy series. The Potter books have gained worldwide attention, won multiple awards, sold more than 400 million copies to become the best-selling book series in historyand been the basis for a popular series of films, in which Rowling had overall approval on the scripts as well as maintaining creative control by serving as a producer on the final instalment. Rowling conceived the idea for the series on a train trip from Manchester to London in 1990. Heidi Klum, is a German model, actress, television host, businesswoman, fashion designer, television producer, and occasional singer. From an Angel, to a Wife to a Mother of 4. She still maintains her svelte figure. 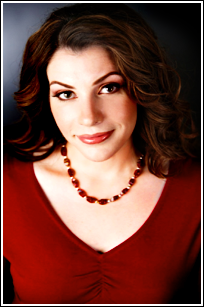 Stephenie Meyer is an American author known for her vampire romance series Twilight. The Twilight novels have gained worldwide recognition and sold over 100 million copies globally, with translations into 37 different languages. Meyer was the biggest selling author of 2008 and 2009 in America, having sold over 29 million books in 2008, and 26.5 million books in 2009. Twilight was the best-selling book of the year. Meyer was ranked #49 on Time magazine's list of the "100 Most Influential People in 2008", and was included in the Forbes Celebrity 100 list of the world's most powerful celebrities in 2009, entering at #26. Her annual earnings exceeded $50 million. In 2010, Forbes ranked her as the #59 most powerful celebrity with annual earnings of $40 million. Madonna, American singer-songwriter. I grew up with her songs. Until now, she constantly reinvents herself that she stays current with the times. Her recent achievement is a Golden Globe for best songwriting for the motion picture, Masterpiece. Lea Salonga-Chien is a mezzo-soprano singer, actress, and Disney Legend from the Philippines well known for originating the lead role of Kim in the musical Miss Saigon, for which she won the Olivier, Tony, Drama Desk, Outer Critics and Theatre World awards. She was the first Asian to play the roles of Éponine and Fantine in the musical Les Misérables on Broadway. She also provided the singing voice of two official Disney Princesses: Jasmine in Aladdin (1992), and Fa Mulan in Mulan (1998) and Mulan II (2004). Salonga was named a Disney Legend in 2011 for her work at the company. Best of all, she stays grounded and a Philippine citizen. Taylor Alison Swift is an American country pop singer-songwriter, musician and actress. Asof March 2011, she has sold over 20 million albums and 41.8 million singles worldwide. She has been listed in the 2012 Guinness Book Of World Records as the Fastest Selling Digital Album by a Female Artist for her album Speak Now, and Most Simultaneous U.S. Hot 100 Hits by a Female Artist. In 2011, Billboard named her woman of the year. She has been nominated 146 times, and win 92 times in various award giving bodies, including 4 Grammy's, all of which achieved at the age of 23. Best of all, she's 43, and mother of twins, with an amazing body and dance like she's just 20. Filipinas are beautiful and these three best represents Pinay beauty. I can't stop staring at them, because they seem to grow more beautiful when you look at them. There's so many other beautiful people out there...in politics, in philantrophy, in showbiz, in sports. I'm sure you have your own favorites! We had a lot in common likes: Lea Salonga, Dawn, Angel Locsin, Oprah, Taylor Swift, Martha Stewart. Natalie Portman: the beauty and brains. attended Harvard University where she completed a Bachelor's degree in Psychology. Speaks Hebrew, French and Japanese fluently. Kate Beckinsale: perfect, lovely, young face. a good writer of novels and poems too. oh yes!! they should be in the lists, as well!! love them too!! I’m really like it! Very, very dgdeeac good!